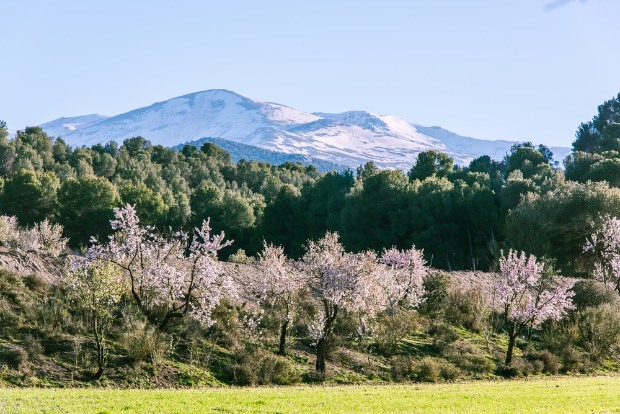 What do you call an almond milk that's made exclusively from almonds grown on rainwater irrigated Spanish orchards and that has just three ingredients: water, almonds and a hint of guar gum to keep the suspension stable? Unlike the competition, this almond milk contains more than 7g of protein and over 80 almonds per pack. Then, how do you launch this product into the Canadian market? Almonds grown this way are hardy, small and packed full of intense almond flavour that can't be matched by those grown anywhere else. Growing almonds without irrigation is an environmentally sound practice and allows the centuries-old trees to develop deep, resilient root systems. We started with a naming and branding strategy session. Out of this, and the product attributes, Almondia, the Virtuous Almond was born. We had a name, and soon a classic, clean design for a logo. Next, we started work on packaging design. We chose the classic Tetra Pack as this made production and distribution to retail both cost-effective and efficient. The Tetra Pack also offers ample space for storytelling. Next, we started working on our strategy to introduce Almondia to potential retail partners. To convince buyers that this was a product worth listing, we conducted extensive taste tests in St. Lawrence Market, where we had a access to a ready-made audience of foodies who were used to paying premium pricing for premium products. 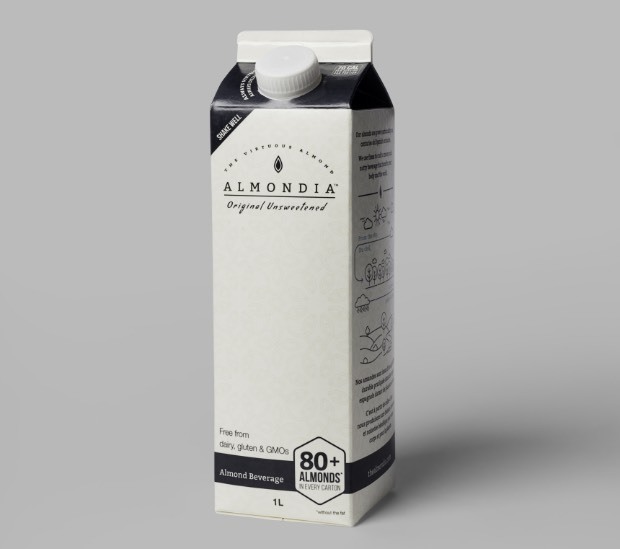 The results were just what we hoped for, with a significant majority of tasters preferring Almondia almond milk over competing products. Product testing at St. Lawrence Market in Toronto. Watch the video to see the results. Almondia is listed in Longos, Farmboy, Fiesta Farms, Pusateries and other stores, with excellent sales.